Does it matter if our churches take a stand on the Bible's account of a literal 6-day Creation? If churches don't take a stand, or instead adopt the Theory of Evolution, what does that do to the church's doctrine and the congregation's faith in God and trust in the Bible? 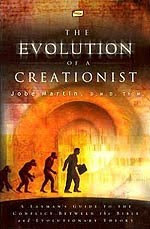 Can Evolution make Christianity literally evolve into something else? 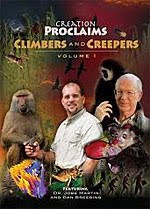 Getting to the heart of why some churches avoid the subjects of Creation and Bible prophecy like the plague while encouraging them to take a stand for the Bible is Dr. Jobe Martin, former dentist, professor and Evolutionist. Having clearly seen God's eternal power and divine nature from what has been made (Rom. 1:20), Dr. Martin came to faith in Jesus Christ and a trust in the biblical account of the six days of Creation. He and his wife Jenna Dee have since formed Biblical Discipleship Ministries based in Rockwall, Texas to teach on campuses, classrooms and churches that we can trust the Bible's account of the Creation and Jesus as Savior. If you look at what is going on in the churches, they won't take a position. Most churches just won't take a position on Bible prophecy or on the Creation issue. What does that do? It leads to wishy-washy Christians. How do you get off track with prophecy? It is because you are off track back here in Genesis when you say this could just be symbolical, or allegorical, or poetry. So, you spiritualize it when you say, "Well, we don't know what the words mean exactly, but we think they mean this." Then, you get over into Bible prophecy — the say the same thing, "We really don't what this means." It is important to believe the Creation account is true because the Bible says Jesus is the Creator (Jn 1, Col. 1, Heb. 1). The Creator Himself has given us His Word. "In the beginning was the Word, and the Word was with God, and the Word was God" (Jn 1:1). The Word is the word of Jesus. If the Bible is not true in Genesis, if we can't trust it, then we can't trust Jesus to be the Creator and the Redeemer, because only the Creator would have the right and the authority to be the Redeemer. So, the rest of the Bible all hinges on our view of Genesis. The authority and integrity of the Bible is at stake here. If we can take it literally, let's take it literally. Let's not just try and decide that man will determine what's true here. Most people believe the Bible is inspired only in those areas where they agree with it, and that's what I think is going on right here with these two sections of the Bible. For instance, look at what Jesus calls himself in His letter to the church at Laodicea in Revelation 3. I think this is a picture of the Church in the last days. Jesus says in Revelation 3:14, "And unto the angel of the church of the Laodiceans write; These things saith the Amen, the faithful and true witness, the beginning of the creation of God." He is speaking to that Church, but in the last days, what is going to be the characteristic of the church? Jesus calls Himself "the Amen." And so, this is the last church before the Rapture. In the last days there will be faithful and true witness, but people overall are not going to believe the Bible. They are not going to teach the whole Bible. But, Jesus says He is "the faithful and true witness" of His own Word. There is a big Bible church in Dallas, Texas where some of their folks went to their pastor and asked, "Can we have a course on prophecy and Creation?" They were told, "No, it is too divisive and confusing." Jesus knew in His letter to the Laodiceans that in the last days the Church is going to depart from His Word. They are going to depart from the Creation, and so He calls Himself those two names in verse 14 — "faithful and true witness" and "the beginning of the creation of God." I think it is fascinating! We can trust the Bible from the very beginning. As a matter of fact, people say, "Oh, yeah, that is just poetry in Genesis." No, Hebrew poetry has the structure of "subject, verb, object," like "God created the Heavens." Well, that is how it sounds in English. "God created the fish." But, in the Hebrew it is written "verb, subject, object," which means that Genesis is straight forward Hebrew historical narrative. And so, what we have is not poetry, it is not allegory, it is not symbol, it is straight forward Hebrew narrative. God told us what He did, the order in which He did it, and He expects us to believe it that way. A support that Genesis is not speaking in poetry is the record of the 10 Commandments in Exodus 20. In verse 11 it says, "For in six days the LORD made the heavens and the earth, the sea, and all that is in them, but he rested on the seventh day." And, go back to verse 9. God says to the people, "Six days you shall labor and do all your work." Well, we know what those days are, right - the 6 days of Creation. Nobody goes out and works 6 billion years. Some will say in verse 9 God is speaking literally, but when He gets to verse 11 He is speaking figuratively. But, what's God truly saying here? He is saying that He wants us to know that in a 6 day week that is made up of the same kind of days you work, He worked. And, within that 6 day week that is made up of the same kind of days you work, He made everything that He made. God is saying, "I made Heaven, I made the Earth, I made the sea and everything in them." In my experience, a lot of these colleges because they know who their donors are will will not teach a literal 6-day Creation. You then get professors in the classroom who feel they can't teach that. I've gotten more flack from Christian colleges than with secular colleges because of that very thing. Also, these Christian institutions want to be academically acceptable. Once you say that you are Young Earther and a Biblical Creationist, you're wiped out academically in the secular academic circles. And so, it is pride. I think it is pride. Pride has crept into the church, and we want the world to think we're smart. Secular academics think we are stupid if we say the Earth is a young earth. They love the approval of man more than the approval of God. First of all, you have to love these guys. I mean, they have everything coming at them from every different side. They deal with every kind of problem and many of them don't have time to study on these things. But, I would encourage them if they don't have time to study up on it to invite someone knowledgeable to come into the church and do a seminar on the Creation/Evolution issue. Plus, there is no way that anyone can truly develop a Christian worldview without an understanding of how it all began and why we are here. I mean, the purpose of why we are here and why we exist, it all goes back to Genesis, and it's got to be taught. And why isn't it taught? Well, I think fear, fear and as Proverbs 14:12 teaches, "There is a way which seemeth right unto a man, but the end thereof are the ways of death." 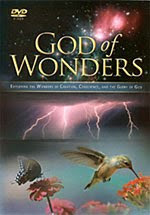 Evolution robs God of His glory. He says I won't share My glory (Isa. 48:11). So, we pull back from teaching things that maybe are a little bit divisive, but Jesus wasn't worried about that, was He? No, He came right in and said the truth, and it was divisive. i agree with what your saying about preacher\teachers and their principles on things like end times, genesis, and how long Bible days were... I wish out pastor would talk about this stuff more often... I think it's REALLY important to understand that the days were twenty-four hour days because if the one day was really one billion years, then the earth really is SUPER OLD!